You are here : Resume Writing Service » Blog » Good Career Advice – Does It Really Exist? 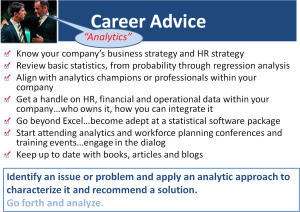 Good Career Advice – Does It Really Exist? Posted By Nathan On June 17th 2015. Under Blog Tags: career recommendation, career recommendations . Good career advice as well as resume writing needs to be understood properly to encourage you to take it. Most people get a lot of career advice at times when they’re not really experienced enough to get the message clearly. To understand advice, you need to understand the value of that advice. When you ask someone for advice, why do you ask? Are you asking simply because you think someone might have the answers you need? Or, are you asking a person for their professional opinion because of that person’s experience and knowledge? Either way, the fact is that you know that you need career advice. You recognize good career advice when it makes good practical sense. At the entry level, you know instinctively that the knowledge of experienced people is valuable. In mid-career, you begin to understand how valuable at knowledge really is, and usually regret not taking it sooner. The bottom line is that good career advice always points to a productive outcome. You can see that it leads to a positive future situation, not some motor mouth feel good fiction. The best career advice is always based on managing situations. Careers are series of situations. The person that gives you the best advice is actually a problem solver, the question is whether or not you recognize the problem, and how the problem is being solved. If you’re getting the impression that you might not have understood some very good career recommendation you’ve already been given, you’re quite right. Situation: Good working relationships are the true key to success. Career advice regarding building relationships: The best way to build relationships is based on mutual respect, understanding and productive working partnerships. If you haven’t been in the workforce for very long, you may not understand how important relationships really are. You may also not understand why “mutual respect” is so critical in any relationship where trust in people’s abilities is so important. You may not quite understand what a “productive working partnership” really is, and why it matters so much. If you’re in mid-career, you know only too well exactly what every single word in that career advice really means. You understand why that advice is so important. Do You Know How to Take Good Career Advice? Take that advice and apply it ASAP while you can. The best career advice shows you a way to achieve your goals and progress. Good advice is like a good service, it clarifies situations and makes them manageable. It teaches you how to resolve problems and manage issues in your career. 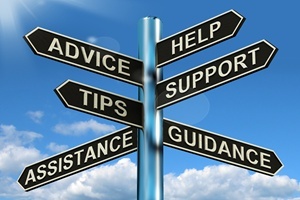 Whatever the situation, you can always get good career advice if you’re prepared to listen and understand that advice. If you’d like to see more examples of career recommendations, check out this link for a range of advice and ideas from HR experts. Is there a recipe to get hired fast? Well, yes, if you consider your information a mix of ingredients and the overall impression you make with your resume has the taste. A good resume does deliver food for thought. A good, interesting, resume also provides useful information and a good “menu”. An employer will get the message of a strong resume which offers more value and better business potentials. You already have the ingredients for your resume to help you get hired. 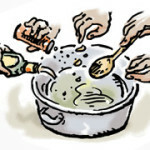 It’s how you mix the ingredients that matter. A bland mix will, naturally, get a bland response. If you’ve been finding that your resume lacks pizazz and doesn’t get much of a response if any, your mix of ingredients isn’t firing. You do, therefore, need to rework your mix of information in your resume. This means taking your resume apart and redesigning it. You may have to do it from scratch, but it will be worth it. You’ll be surprised what a few added ingredients can do. Achievements – Define your best achievements. You’ll be surprised, in fact, how easy it is to put together a pretty good set of performance-based credentials you can weave into your resume at various points. Problem-solving – How did you manage problems? Can you show that you’re a good fixer, competent and able to manage real business situations? Does that sound good to you? It will, to an employer. Facing challenges – Are you one of those people who face challenges every day, deals with them well, and barely even notices you’re doing it? Employers need to know you can do these things! Does your current resume indicate your skills in this area? Your contribution to your employer – This is another issue most people don’t even consider when writing resumes. Consider for a minute what you actually contribute to your workplace. Are you a good team person? A leader? A team builder? As you will have gathered, you already have a “secret sauce” of interesting ingredients for your resume writing. So what’s the problem? The problem is this – you’re the one who’s keeping it a secret. If you want to get hired fast, let employers in on the secret! Include your achievements. You can work these into descriptions of your work and performance quite easily. Include your full range of skills. Use a functional resume format to create space for you to show your skill sets. What makes you a good choice? Define challenges, explain your role, and show good business values. Show your contributions. Show a potential new employer what you can do. You’ll get hired, faster than you might expect. For more information on this subject and how to improve your resume, see this link. If you’re looking for reasons to start a blog related to your future career or job searching, you’ll find that you already have more reasons than you think you have. 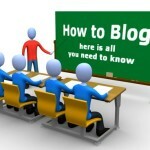 Blogging on your favorite subject is a very good idea for multiple obvious reasons. When your favorite subject is your career, it’s a great idea. Blogging about your career isn’t really self-indulgence, although it may seem like it sometimes. Blogging is a way of staying up to date with issues, exploring ideas, and above all, communicating with other interested people. As a blogger, you may wish to express your opinion, or simply report news about some new development in your career, but you’ll find that you will always learn something when you blog. Blogging is always interesting, adding perspective and depth to your subject matter. The best reason to blog about a career is essentially a range of subjects in a career track. As your career progresses, your interest will diversify, and your career subject matter will evolve. This ongoing evolution is very good for any career blog, enhancing and developing subject matter, conversation, and feedback. The best way to start a blog is on a well-proven blog platform like WordPress. The mechanics of blogging can be quite complex, so you need to work on a platform which is easy to handle and which provides help when you need it. There is a bit of a learning curve to operating a WordPress blog or any other type blog, but you’ll find that it’s really quite easy. This ease-of-use is important because you need to focus on the content of your blog, not minor technicalities. Best practice advice is to make your blog a specialist blog, rather than a generalist blog. If you do have very broad interests within your career spectrum and are able to adequately address these interests with interesting materials, a generalist blog will work. Otherwise, stick to a basic specialist blog, like a blog for aficionados or other specialists. When blogging, keep track of the currency and values of your materials at all times. Make sure that your blog like with your resume writing is up to date, and not rehashing ancient news. One of the risks of being a blogger is that you may find that you are repeating yourself or even rehashing your own work. Professional writers will tell you that you simply need to focus, but be aware of that risk because it will definitely impact your readers. Many bloggers actually undervalue their blogs. 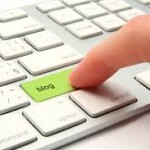 When it’s a career blog, you will find that your reasons to blog generate themselves. There is always something interesting, something annoying, or something worth blogging about. You’ll find after a while that your blog generates its own materials. Expect to have a lot of fun, because you will. 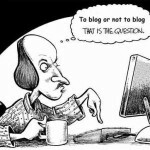 If you’d like to find out more about career blogging, see this link. To get individual career advice and recommendations simply contact our team who know everything about recruitment!